If you are involved in a civil dispute in Singapore, you need practical advice and representation you can rely on. Our team here at GJC law can support you throughout your civil dispute, providing you with professional advice and competent representation. 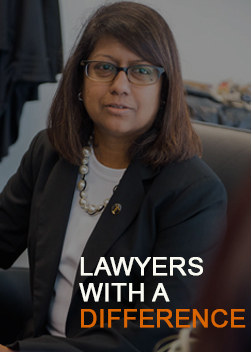 Our lawyers can assist you both with taking court action (known as litigation) or resolving your dispute through alternative methods such as mediation. To initiate civil proceedings in Singapore, a litigant can commence action by issuing a Writ of Summons. Parties to the dispute are considered private parties (whether it is a company or an individual). If you wish to bring a claim against another party, or you have had a claim brought against you for a civil matter, our lawyers can represent you in court. Our team has extensive knowledge of civil law matters and can provide you with reliable and proper representation in court when you engage our services. GJC Law will always act in your best interests and this includes suggesting Alternative Dispute Resolution (ADR) as a means to resolve your dispute where appropriate. Private Mediation is one of the most cost-effective and time-saving means of ADR and often considered a suitable and preferred alternative to civil litigation. Our team of solicitors, who are also well-equipped with mediation and negotiation skills, will be more than happy to discuss these options with you. Contact us today to find out how our team can help resolve your civil dispute. In order to initiate civil proceedings in Singapore, the Plaintiff must commence an action by way of a Writ of Summons or Originating Summons. Our solicitors can advise you on these processes. Claims in respect of patent infringement. When a dispute arises where there is no substantial dispute of fact, but the dispute is a matter of law or the interpretation of a written instrument or statutory provision; the action should be commenced by way of an Originating Summons. An application by way of an Originating summons will also be commenced where an application is to be made to the Court or a Judge Pursuant to any written law of the Rules of Court in Singapore. The Applicant’s reasons in support of the Originating Summons will be detailed in an Affidavit in Support of the Originating Summons. After commencing an action, the Defendant may respond. Where the Defendant wishes to contest the claim, they will enter an appearance in the proceedings to make their defence and state their position in the matter. There may be interlocutory (interim) applications commenced by other party in the meantime to request for Further and Better Particulars, Discovery or Interrogatories. Our team will guide you through every stage of the process and advise you on the best way to protect and advance your rights and interests in the proceedings. The proceedings may at any time be resolved through settlement or mediation, which is often highly encouraged to save the parties the expense, difficulty and inconvenience of going to trial. The Court may also grant a summary or any other form of interlocutory judgment (depending on what has transpired during the proceedings). Where the dispute cannot be resolved, the proceedings will then be set down for trial. If you require more information, advice, assistance or representation in relation to a civil dispute, do not hesitate to contact our team today. Acting quickly is essential as civil actions in Singapore, once commenced, are subject to strict timelines. Get in touch with us today to find out what we can do for you. Regardless of the kind of civil dispute you are involved in, be it a contract dispute, tort or any other matter of civil law, our team can assist you in resolving your dispute through mediation. Mediation is a cost-effective and efficient means of resolving disputes which allows both parties to avoid having to go to court. This means that the dispute can be resolved more quickly, and both parties can save on their legal costs. When you settle a dispute through mediation, the agreement is legally binding and enforceable so you can feel confident that your dispute has come to an end. Mediation is also confidential, which can be a useful feature when it comes to business disputes. Here at GJC Law, our lawyers are highly equipped with mediating skills and can assist you in bringing your dispute to an amicable resolution. 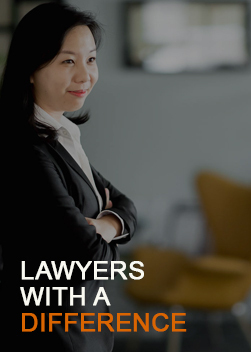 At GJC Law, our Singapore Commercial & Civil Litigation Lawyers take the time to understand your case and provide you with reasonable and practical advice for your matter. With our vast experience in the field of personal law, we will be able to advise you on the best possible course of action for your dispute. Our team members are all trained in mediation and will always offer this service to ensure a quick and cost-effective settlement to your dispute. However, should the matter require litigation, we are fully able and ready to provide advice and representation. We will explain the entire process in a manner that our clients can understand to ensure that they are comfortable and fully aware of what is to be expected throughout the entire proceedings. We provide advice and representation at each stage of proceedings, and can assist you regardless of the complexity of your case. For more information about how we can help you, contact us today by calling +65 6337 0469 or complete our online enquiry form and a member of our team will get back to you.